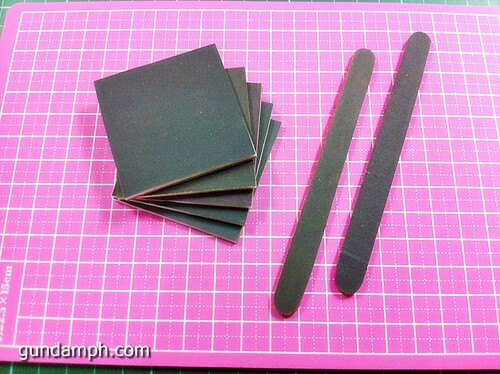 We have here a tutorial on how to create our very own sanding sponges and sanding sticks which functions like their very expensive 3M brand counterpart. 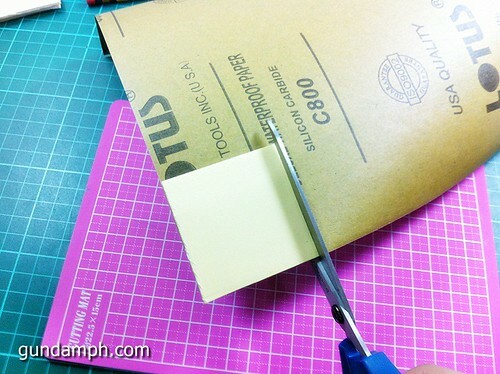 This guide is very useful for us Gundam hobbyists since this method is cheaper and we can save a lot of our money. Meaning more savings for buying our favorite Gundam kits instead. Haha! You will learn to create the sample below after reading this post. Inspired by some of our friends (papa Ed and papa Polo of GM) who did the same. From them, to us, then to you guys! Enjoy! 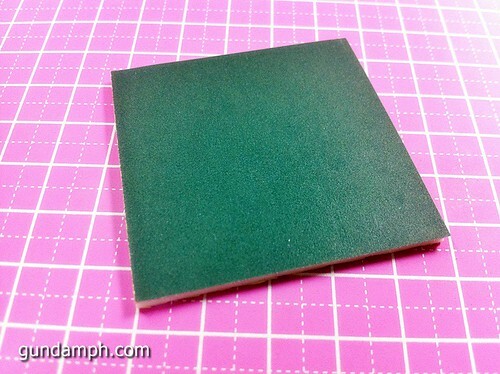 It’s a 4.5 inch x 5.5 inch foam pad coated with abrasives, available in different grits like Medium, Fine, Superfine and Ultrafine. 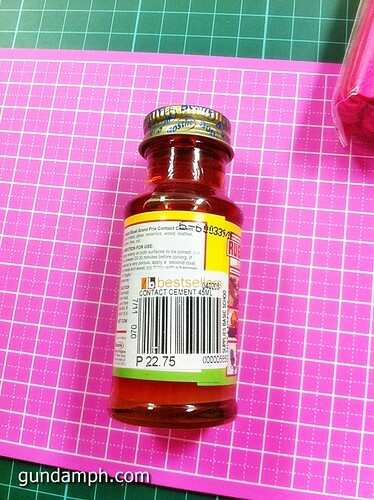 A box of 20 costs $66.55 on 3M’s online store, which translates to about Php140.00. 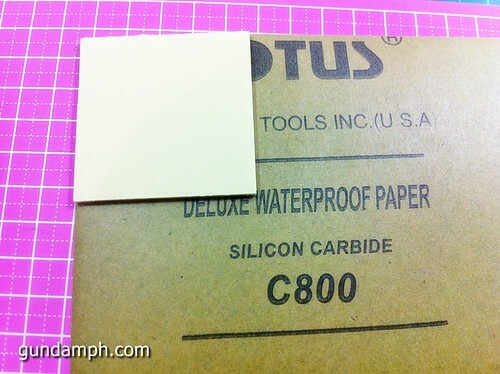 Pretty expensive for some sandpaper stuck to a piece of foam, no? 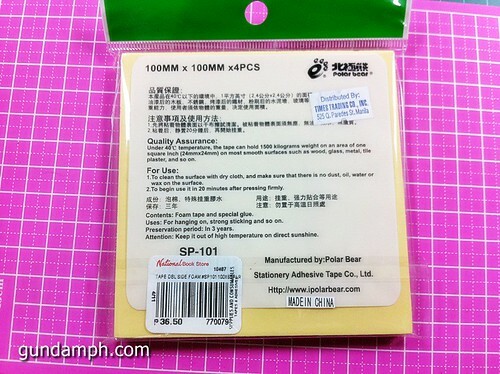 And it’s a bit too big for Gunpla use, because its size was intended for woodworking. Whenever I receive my order, I probably will split these into two. 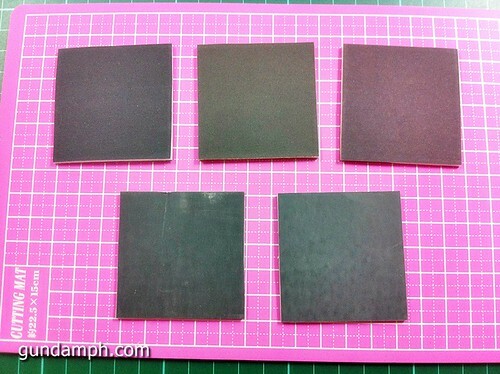 Yeah, I got more grit choices – take that, 3M! 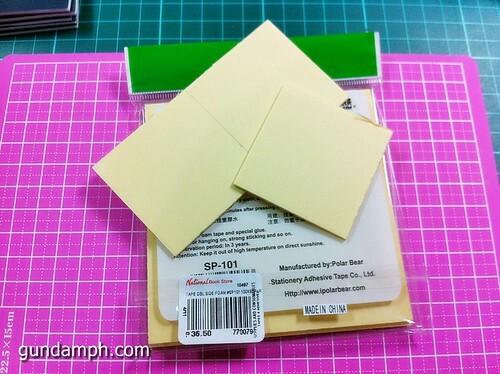 These 2 x 2 inch babies are more suited for Gunpla modeling, what with all the minuscule parts we usually encounter in our hobby. And you can use whatever grit you wish; it’s all up to you. 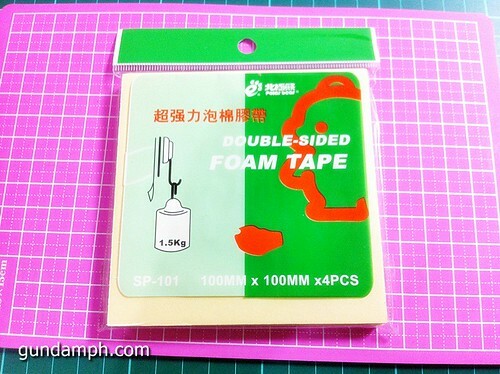 I even had a lot of mounting tape and sandpaper left over, so I’m well-stocked till the end of the year, at least. 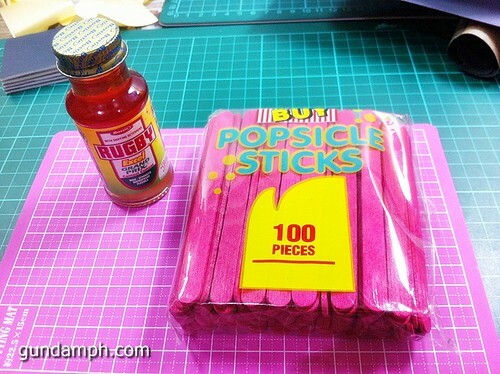 For the sanding sticks, I bought a package of popsicle sticks (Php15.75) and Rugby brand contact cement (Php22.75), also from National Bookstore, for a grand total of Php38.50. 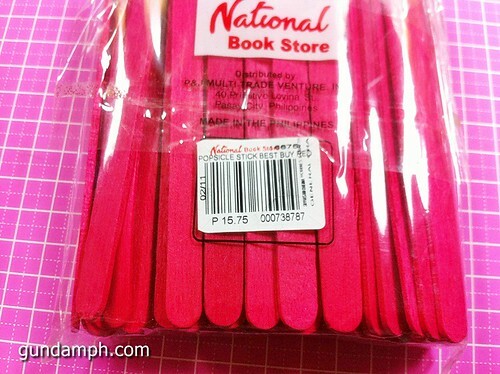 3M’s loss is National Bookstore’s gain, I guess. 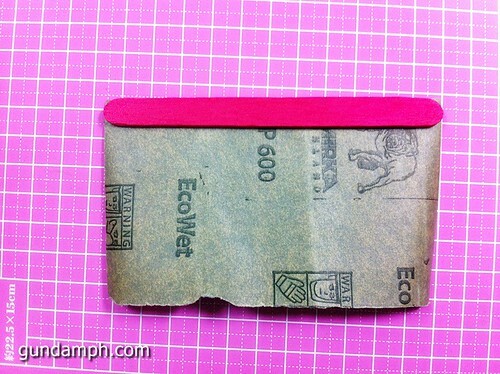 This is pretty straightforward, just glue the popsicle stick onto the back of the sandpaper. I used another popsicle stick to spread the contact cement and let it settle for a few seconds before sticking it to the sandpaper. 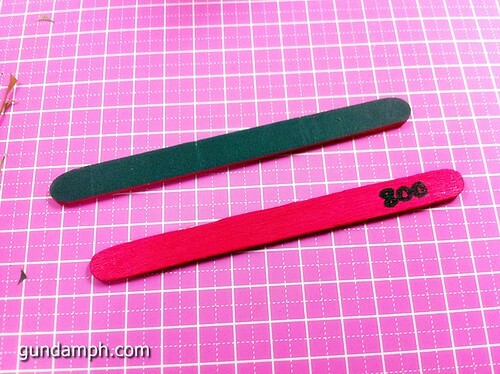 Cut the sandpaper along the edge of the popsicle stick, just like with the sanding sponge, then repeat the process for the other side. 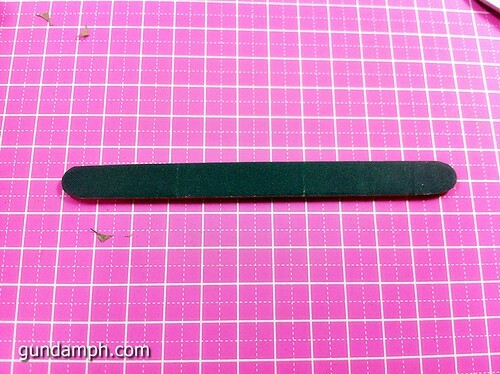 I found some sanding sticks and replacement belts online. 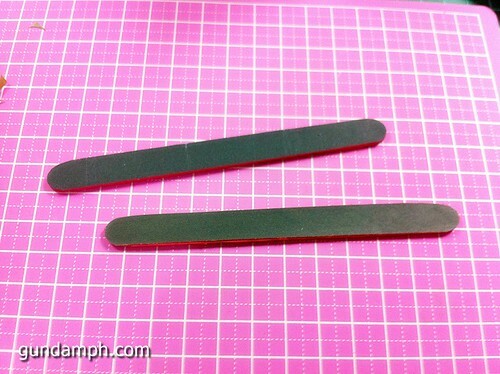 The sticks cost $3.00, and the belts (basically strips of sandpaper/abrasive that you glue to the sticks when the old ones are worn out) go for $11.75. That’s more than Php600.00 for a single stick. 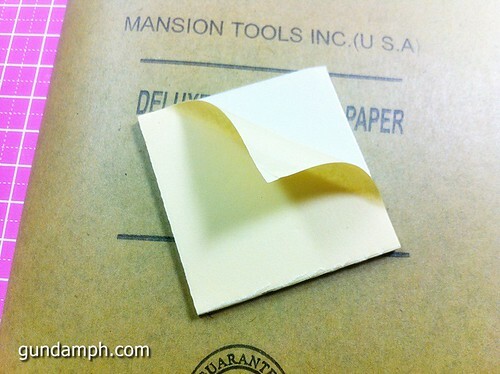 So there you have it, cheap alternatives to name-brand sanding implements. That’s all we’re paying for, really – the brand name. Very nice…I’ll try one myself…. Thanks for the info bro…. Nice idea. Will look for those materials soon. I know this is a noob question but I haven’t tried this yet and I’m new to this hobby but what is the difference of Ssponge and Sstick? depends on your purpose. 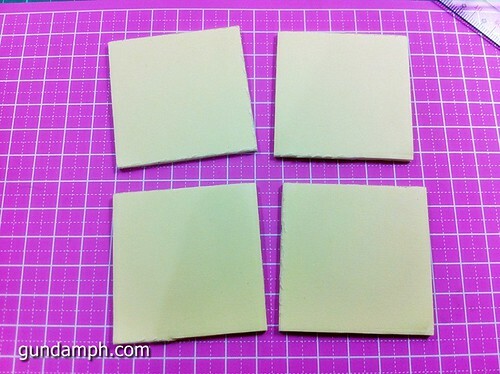 The sponges can be used for wet sanding and for sanding with a gentle touch…. The sticks can be used if you want a solid and hard sand, like when you want to press really hard because the sticks won’t easily bend. Thank you for sharing your knowledge Spiderbeef! This article was awesome! I learned a lot and will visit my local supplies shop tomorrow. On the other hand, I noticed you must have accidentally forgot to type something here because your mind was moving too fast for your fingers 😛 “A box of 20 costs $66.55 on 3M’s online store, which translates to about Php140.00. 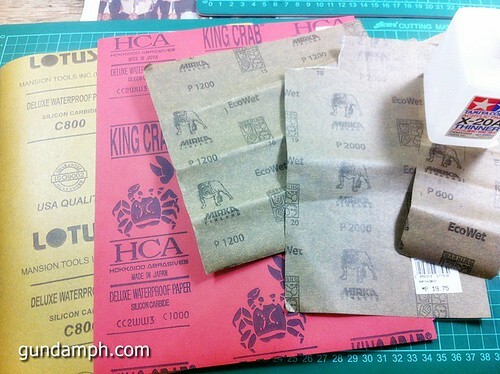 Pretty expensive for some sandpaper” I think you meant to say “about Php140.00 FOR EACH PIECE” . It confused me for a while. I’m not from the Philippines and was confused until I looked up the exchange rates and compared to other prices you mentioned later about it costing 136php total for DIY sanding sponges/sticks.